Did you know: 8 in 10 consumers instantly abandon a mobile site if the experience isn’t up to par?1 Mobile consumers have high expectations from content publishers today. With Google mobile searches growing 400% in the last two years, it’s increasingly important for publishers to satisfy the needs of a mobile user by building a mobile-friendly site. That’s why we recently launched GoMo for publishers, which brings publishers a new set of tools to help build mobile-friendly websites. 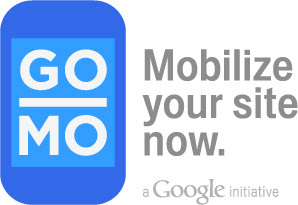 Your users have gone mobile in a big way, hear why you must follow suit. Mobile is different. Learn 10 practical tips for building engaging, uniquely mobile experiences. Hear from web publisher FindTheBest about the success they have seen from going mobile. Google is here to help. Learn about tools we’ve created to get you started on the path to delighting your users and maximizing your mobile revenue. Sign up for the webinar today. We look forward to seeing you on March 22th!